For allergens, see ingredients in bold. Also, may contain milk and eggs. *Percent daily vaules are based on a 2,00 calories diet. Your daily values may be higher or lower depending on your calories needs. These are the best protein snack I have EVER HAD! PLUS I almost couldn't eat it all. I am super impressed & will be buying A LOT MORE of these bc they fit my macros perfectly! A crunchy snack with good amount of protein. Easy to bring on-the-go. Stay hydrated with milk, or water throughout the day. 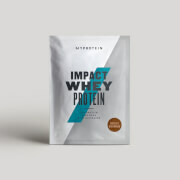 Best known for its value for money and it's quality, Myprotein has been the highest selling online supplement brand in the world. This is the best protein I have had so far. Totally in love with it. 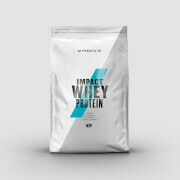 The price at which myprotein offers its products is awesome. Not only it's cheap but it's really good. Tastes delicious and mixes effortlessly. Taste is pretty good, nothing crazy but good for a protein snack. Well priced and decent macros. 50/50 if I will purchase again as the taste could be improved a bit and protein popcorn is so good. These are freaking delicious. It's hard to eat just one package in the day. haha Thankfully they are more filling than they seem! They are crunchy and chocolaty, kind of like Cocoa Puffs with a thin layer of chocolate coating. 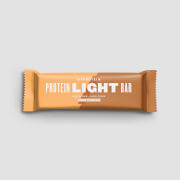 Definitely the tastiest protein snack I have ever tried. These are great for when you have a sweet tooth! Of course they do not taste like pure chocolate, but they do come close! I love these as a yogurt topping! I quite enjoyed these! They're like cocoa puffs coated in a really thin coating of chocolate. I wish this was slightly thicker, but the macros would obviously not be as good otherwise. Will buy again, especially since the protein cookies don't always fit my macros!